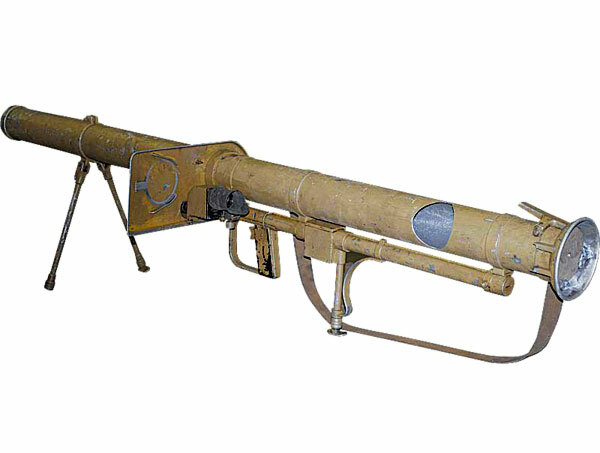 If you’re ever in the mood to reminisce about blowing stuff up the old fashioned way, this Spanish Bazooka will add some character — and perhaps clutter — to your room. This quaint little rocket launcher measures close to 6ft long, making it the perfect little nook to hang your GI Joes and model airplanes from. Or, aim it at your neighbor’s picture windows every time that NASCAR-obsessed tool starts whining about you making all those “explosion” and “war” noises. Psssh, what does he know. The bazooka’s production dates back to the 1960’s, giving it a vintage, maybe even battered, nepalm-in-the-morning sort of feel to it. The large barrel rests on a bipod, with a shield and its original optical. Oh, but there’s one thing: it’s been deactivated, rendering it utterly useless in the war against drugs. Eh, that was a losing battle anyway. Well, depending on whose side you were on… Oh, that reminds me, if you’re in California, you may be allowed to smoke weed to ease up those invisible cataracts, but those goofy laws out here won’t let you order this little trinket of livingroom weaponry. Go figure. Pick one up (outside of Cali) for $200.